As you might expect with ongoing research into genetics and genetic patterns, scientists are learning ever more about the human condition, including baldness. New research about male patterns of baldness are particularly interesting, less for what they tell us about what causes male baldness, but for the links between male baldness and other conditions. Ongoing research into Androgenetic Alopecia, or male pattern baldness, has revealed different genetic factors at play, but no definite associations between genes and hair loss. There is no “hair-loss gene,” which either someone has or doesn’t have. Nor should we assume the truth of received wisdom about baldness tracking the female side of our parentage, since we can also see hair loss patterns that track between fathers and sons. A recent paper which appeared in the Experimental Dermatology (“Hunting the genes in male-pattern alopecia: how important are they, how close are we and what will they tell us?”) described 12 genomic regions of interest, while advising us that there is still no simple way to identify men who are susceptible to baldness. The paper did identify a couple of genes of special interest, which may be plausibly linked to male pattern baldness. Inherited from the mother, one candidate is the AR gene, which provides instructions for making the androgen receptor protein. A second gene of interest is EDA2R is a protein coding gene. While these genes may be in some cases linked to male pattern baldness, they are just two factors in a much more complex puzzle requiring further research, especially in relation to the other genomic regions which are linked to both parents. 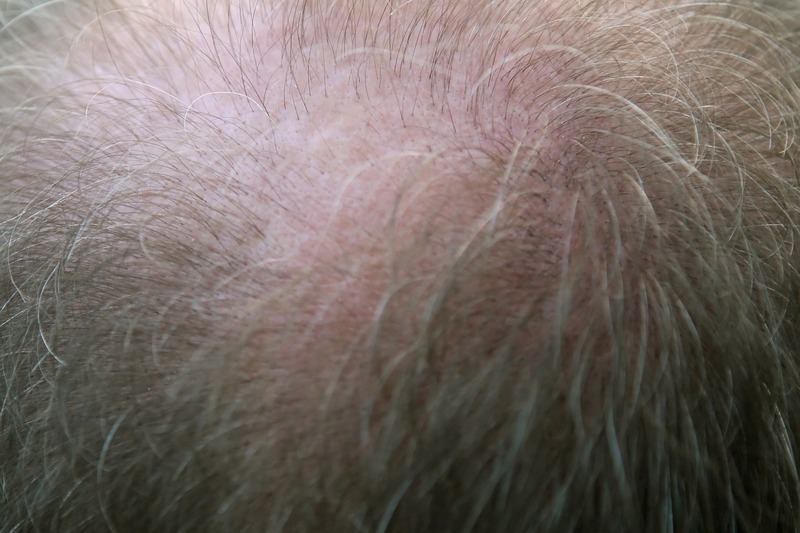 The research also identified, for the first time, a possible association between Parkinson’s disease and male pattern baldness that seems to strengthen with age, especially with men over 70. There was also a higher probability that men with early-onset male pattern baldness are more likely to be at risk for ALS. There is no reason to be alarmed by any of these findings. We can hope that researchers, as they learn more about male pattern baldness, both its source and connections to other diseases, will also be able to tell us more about the biological mechanisms responsible for such conditions and diseases. With such growing knowledge, your Philadelphia hair restoration expert is optimistic that we may eventually be able to identify new steps to prevent hair loss.